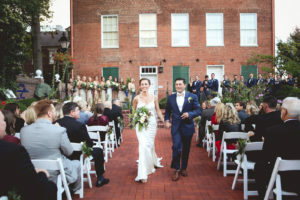 Today we are throwing back one of our favorite weddings at the 1840s Plaza. 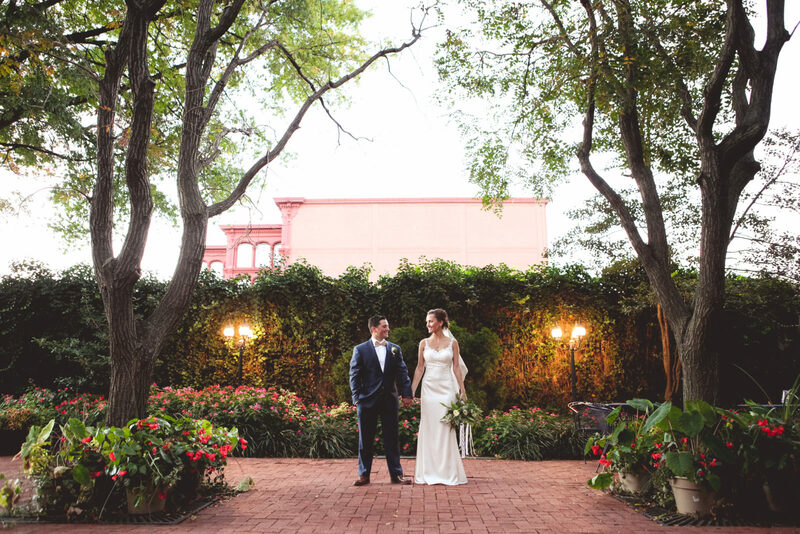 Alex and Brandon had a gorgeous outdoor ceremony in the Fava Courtyard. 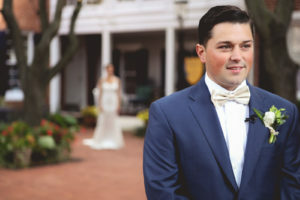 Their simple flower arrangements on the aisle chairs and our courtyard gardens were the perfect blend of beauty on their special day. 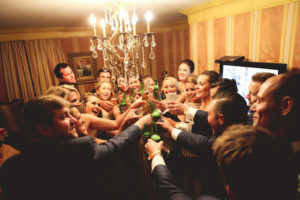 After the ceremony, the wedding party retreated to the Declaration Suite in our boutique hotel, the 1840s Carrollton Inn, for a group cheers! 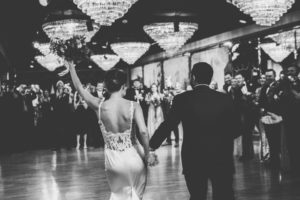 For dining and dancing, the couple selected the 1840s Ballroom. 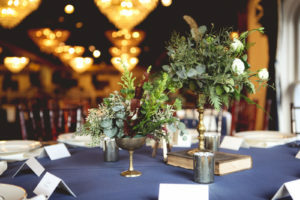 Centerpieces included some of the couple’s favorite novels, and silver vases to hold the flowers. This crew danced the night away with their family and friends by their side! 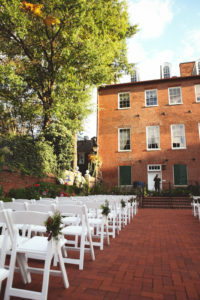 We wish all of our couples at the 1840s Plaza a lifetime of happiness! 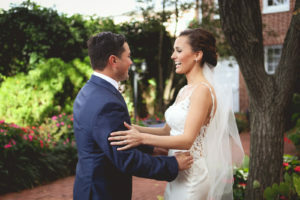 We hope you come back and stay with us to reminisce at the 1840s Carrollton Inn. 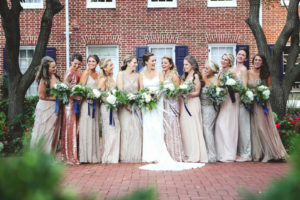 All of the beautiful photos are courtesy of Sarah Murray Photography.